The Michigan Nature Association (MNA) first achieved national accreditation through the Land Trust Accreditation Commission in 2014. The accreditation program recognizes land conservation organizations that meet national quality standards and practices for protecting important natural places and working lands forever. To maintain accreditation status, MNA must renew every five years, and we are pleased to announce that we are applying for renewal of accreditation this spring. The Land Trust Accreditation Commission, an independent program of the Land Trust Alliance, will conduct an independent review of MNA’s policies and programs to confirm that we continue to meet the highest quality ethical and technical operation standards of a land trust. As part of the application process, a public comment period is now open. According to the last Land Trust Alliance census in 2016, there are approximately 1,400 land trusts across the country. Just over 400, or about 29%, have achieved or renewed accreditation. This network of land trusts have demonstrated fiscal accountability, strong organizational leadership, sound land transactions, and lasting stewardship of the lands they conserve, according to the Land Trust Accreditation Commission. The Commission invites public input and accepts signed, written comments on pending renewal applications. Comments must relate to how MNA complies with national quality standards. For the full list of standards, click here. To learn more about the accreditation program and to submit a comment regarding MNA, visit www.landtrustaccreditation.org, or email your comment to info@landtrustaccreditation.org. Comments may also be faxed or mailed to the Land Trust Accreditation Commission, Attn: Public Comments: (fax) 518-587-3183; (mail) 36 Phila Street, Suite 2, Saratoga Springs, NY 12866. Comments on MNA’s application will be most useful by April 15. Two major anniversaries distinguish a busy and exciting 2018. 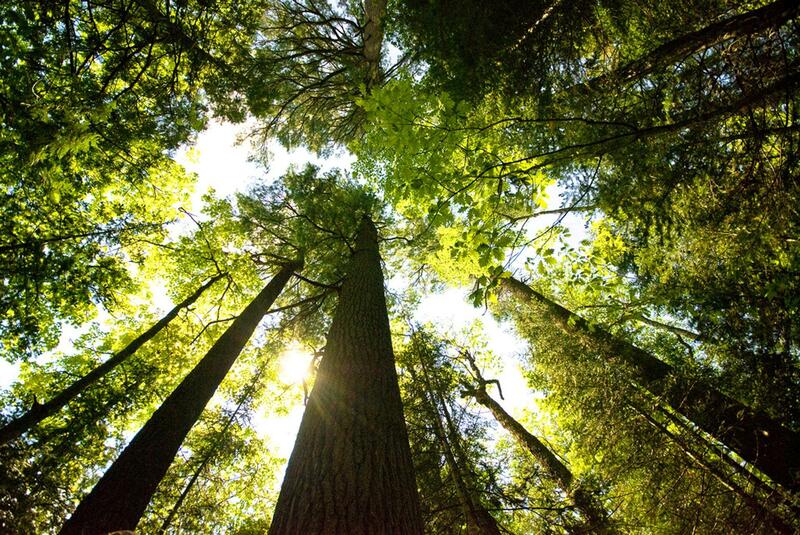 The first, of course, is the 45th anniversary of the Michigan Nature Association’s campaign that prevented logging of the largest stand of old growth white pine left in Michigan and established our Estivant Pines Nature Sanctuary in 1973. The drive to raise needed funds to secure Estivant galvanized individuals, organizations and service clubs from all over the state and still stands as one of MNA’s crowning achievements. 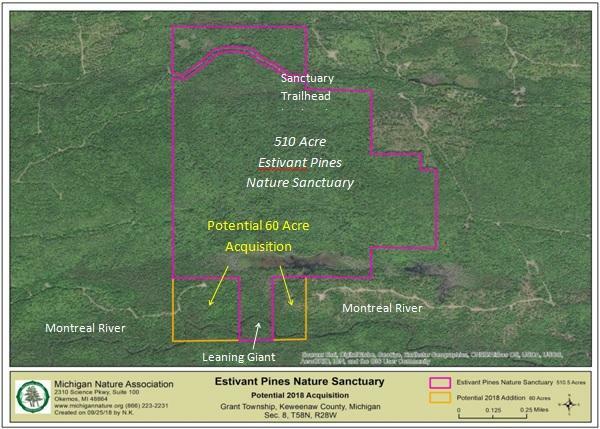 In that spirit, we were delighted to receive a $90,000 challenge grant in honor of the Estivant Pines anniversary, and this new campaign is underway as this Year in Review goes to print. With your generous support, we will add 60 more acres to this iconic nature sanctuary and direct $90,000 in challenge dollars to stewardship needs in our nature sanctuary network. 2018 is also the 45th anniversary of the federal Endangered Species Act. The Endangered Species Act is an essential, national framework for protecting rare, threatened and endangered species but it has been under assault since its passage in 1973. 2018 was no different and we made our voice heard by stepping up to formally oppose rule changes that could have a devastating impact on the statute. We will continue to monitor and act on threats to this critical environmental law. One of the major limitations of the Endangered Species Act, however, is the lack of funding for protecting critical habitat. Remarkably, twenty years before Congress passed this landmark legislation, MNA’s founders recognized the need for action to protect Michigan’s rarest and most vulnerable species and natural communities, pioneering the strategy of protecting land in Michigan to do so. We pursue that mission every day thanks to their foresight and our members and donor who continually rally to the cause. Celebrating these two major milestones bookend a year’s worth of notable activities that you will read about in this Year in Review. None of our work is possible without the commitment of our members, donors, and volunteers, and I hope you are as proud as I am of what we have accomplished together. 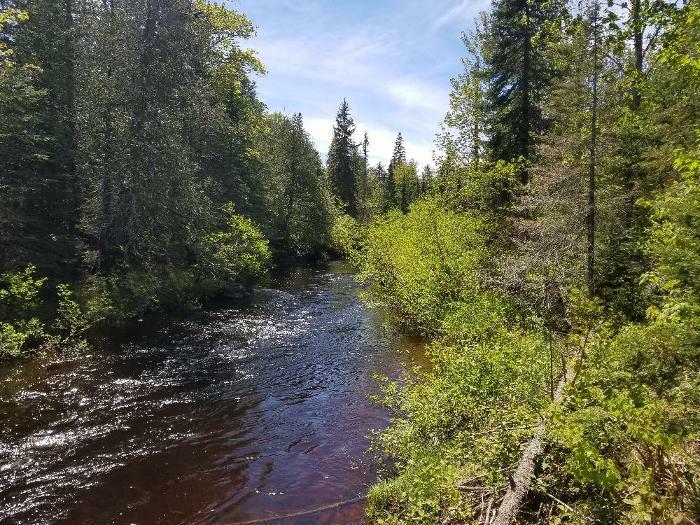 Be it saving old growth white pines in the Keweenaw, protecting imperiled natural communities across our great state, or defending critical policies for threatened and endangered species, we are truly all in this together. Thank you for all you do—I look forward to another year of working with you to protect Michigan’s incredible natural heritage. The creation of a collaborative space at our headquarters in Okemos where nonprofit, agency and other partners can gather has been a vision since we purchased our building a few years ago. That vision is now reality with the recent completion and furnishing of our new Margaret and Clifford Welsch Environmental Education Room. Thank you to the Welsch family! Fostering conservation dialogue and action are primary motives behind the construction of the new room, made possible by a generous gift from Margaret and Clifford Welsch, enthusiastic supporters of MNA’s education mission. The Welsch Education Room has already been used for meetings, training workshops, educational seminars, and collaborative partnerships by groups such as Michigan Audubon, Michigan Forest Association, Michigan Department of Natural Resources, Michigan Wetlands Association and the Michigan Vernal Pool Partnership. Flexible seating and table arrangements can accommodate theatre, classroom or workshop configurations for as many as 100 participants. The room is available to any nonprofit but reservations are required, and reasonable fees may be applied for use of the room outside of normal business hours. 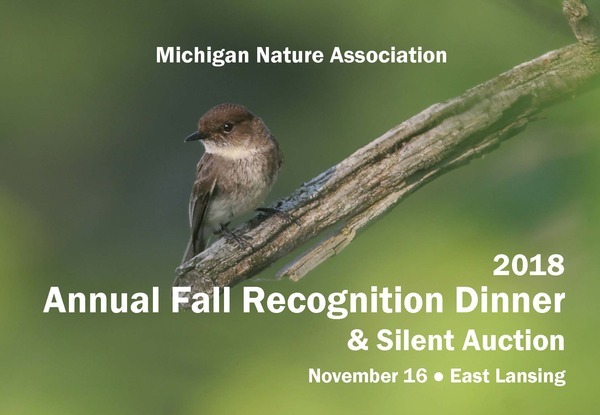 Contact michigannature@michigannature.org to inquire about reserving the room. To complement the Welsch Education Room, plans are underway to convert the grounds at our building from conventional office park landscaping to native plants friendly for birds, butterflies, bees and pollinators. The goal is to use the outdoor space to educate landowners and businesses about the importance and attractiveness of native landscaping. Members of District IIB of the Michigan Garden Club donated plant signs for MNA headquarters to help visitors identify a wide variety of recently installed native plants. The project to transform our conventional office park landscaping to one that is bird, bee, and pollinator friendly is a collaboration between Michigan Nature Association, Michigan Audubon (and a grant from National Audubon’s Plants for Birds program), Christopher Hart of HartScapes LLC, many volunteers, and now District IIB.